Suryakumari was born on 22nd December, 1922 in Pune in a business family with good value systems. From her childhood she imbibed social responsibilities and respect for tradition and education. She pursued her higher studies in Madras obtaining her B.A. (Economics) degree from Nagpur University as a private candidate. With the motivation of Dr.V. Raghavan, a stalwart in Sanskrit field and the support and encouragement of Dwarakadas, her husband (himself a non- matriculate but a successful corporate executive), she completed her M.A. (Sanskrit) degree from Presidency College, Madras as a full time student, though she was already a mother of five children who were studying in Colleges and Schools at that time. She pursued her passion for Sanskrit by learning Vedas, Upanishads and other texts with the help of traditional scholars at Mylapore. She worked as Lecturer in Sanskrit at the S.I.E.T. Women's College, Madras for more than a decade. She was also privileged to be guided by Dr.V. Raghavan in the field of Sanskritic studies. Under his guidance she devoted her time to work at the Kuppuswami Sastri Research Institute, the Samskrita Ranga and the Sanskrit Academy (Secretary, 1975-77), Madras. She also assisted Dr.Raghavan in many of his research projects and publications. Smt. Suryakumari Dwarakadas actively participated in Sanskrit plays. She was a linguist with strong foundation in Sanskrit. She knew Marathi, Gujarathi, Hindi, Tamil, Telugu and English. 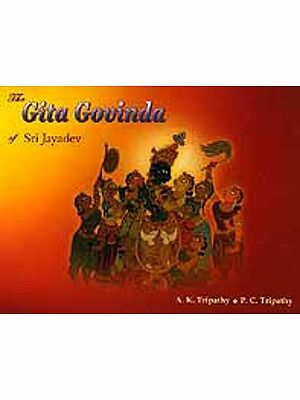 She took immense pleasure in teaching Bhagavad Gita to the students of Sri Suddhadvaita Vidyalaya. She conducted Gita Pathasala in that school for more than two decades. She also participated in the activities of Srinivasa Gandhi Nilayam, Madras engaged in the upliftment of the under privileged women. She has travelled widely within India and also visited U.S.A. and Europe. 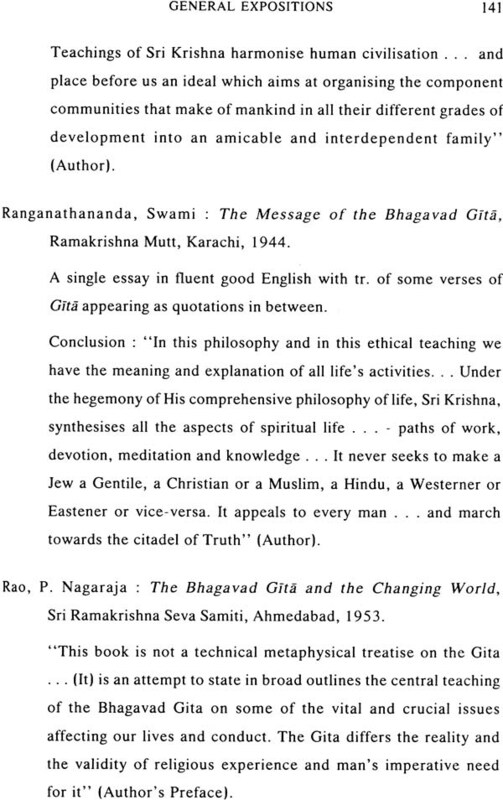 Under the guidance of Dr. Raghavan she started compiling information on Bhagavad Gita from different parts of India. 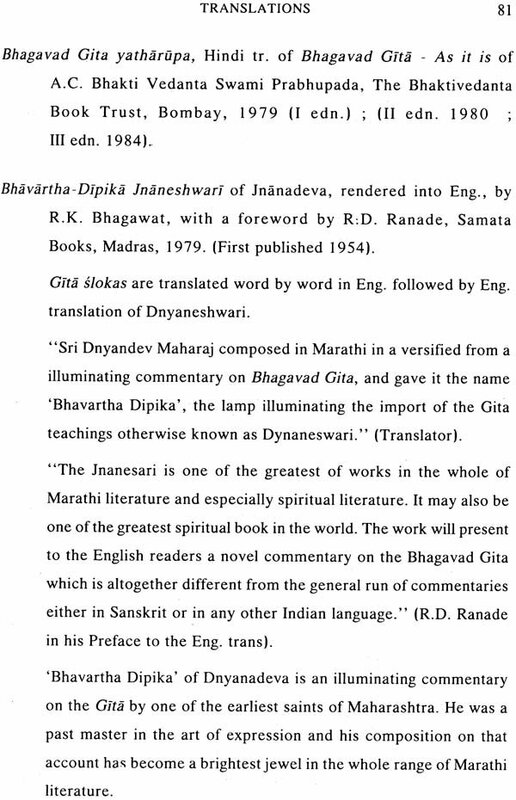 On the suggestion of Dr. S.S. Janaki, her family members decided to create an Endowment in her name at the Institute for the publication of the collected materials on the Bhagavad Gita. Under the Smt. Suryakumari Dwarakadas Endowment created by her family members, the K.S.R. 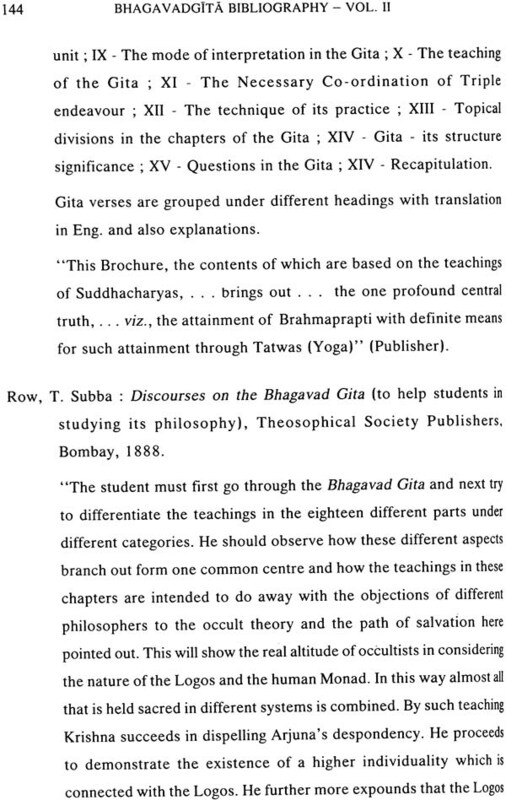 Institute has also been conducting interschool Bhagavad Gita Recitation competition every year. The Institute feels privileged to bring out the publication "Bhagavadgita Bibliography Volume I & II” under Smt. Suryakumari Dwarakadas Endowment. 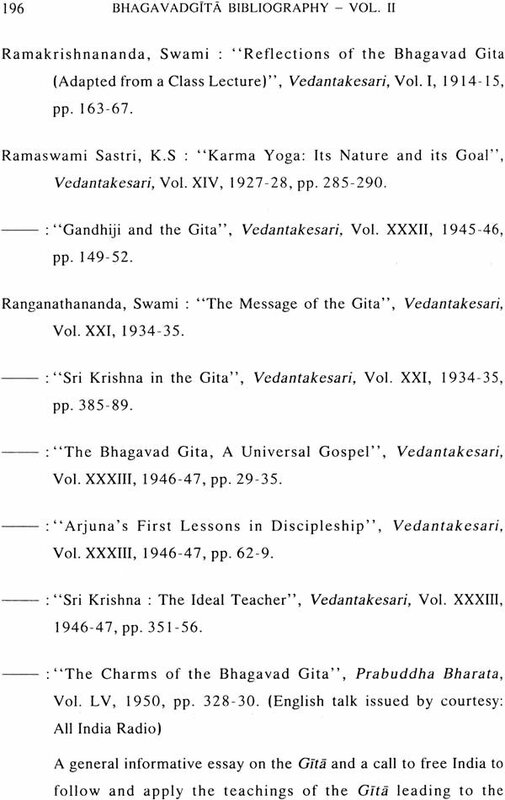 The Bhagavadgita Bibliography project was started by Dr. V. Raghavan in 1972. Under his able guidance Smt. 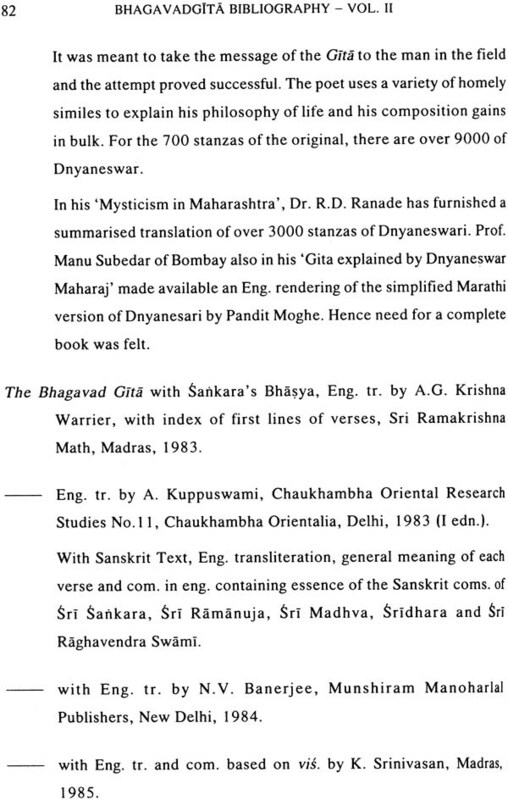 Suryakumari Dwarakadas, a keen student of Sanskrit, collected the bibliographical details on the Bhagavadgita. The chequered growth of the Institute affected the progress of the project; however, scholars at the Institute kept on collecting details on the project and Smt. Suryakumari continued working on her own. On her demise in 1990, Dr. S.S. Janaki, then Director of the Institute, with the support of the family members of Mrs. Suryakumari took efforts to revive the project. An endowment in the name of Smt. Suryakumari Dwarakadas was created at the Institute by her family members to complete the project. Dr. C.S. Sundaram, Retd. Reader, University of Madras who has a long record of devoted service in the field of Sanskrit studies, working as Honorary Professor at the Institute took upon himself the difficult task of completing this project. 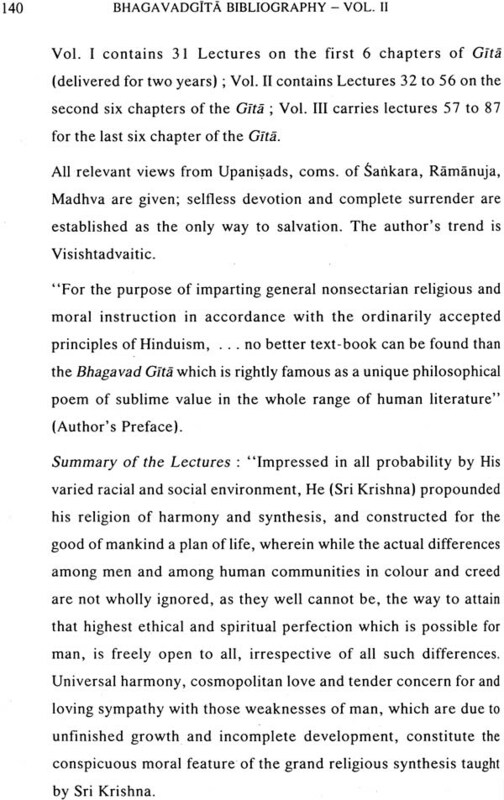 His vast experiences in the New Catalogus Catalogorum of the Department of Sanskrit, University of Madras and his untiring efforts have resulted in the publication of this first section of the project. Dr. C.S. Sundaram has scrutinised, classified and arranged the already available material collected by Smt. Suryakumari and has also added some more valuable information on the subject. This monograph forms only the first part of the project, covering the details regarding the manuscripts available in various parts of India. 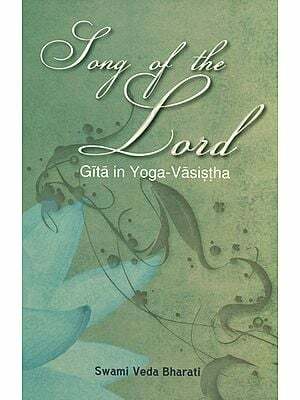 The second part consisting of the bibliographical details of the printed texts, studies and articles pertaining to the Bhagavadgita will be published soon. This book has been brought out with the finances made available from Smt. Suryakumari Dwarakadas Endowment. The Institute is beholden to the family members for this help. The book contains a write - up about Smt. Suryakumari by her son Mr. Suresh. The Institute is also thankful to Dr. C.S. Sundaram who took all pains to complete this project. Ms. Vignesha Printers are to be thanked for the neat printing and nice get-up. The Bhagavadgita Bibliography was undertaken by Dr.V.Raghavan as a project under the auspices of the K.S.R.Institute. 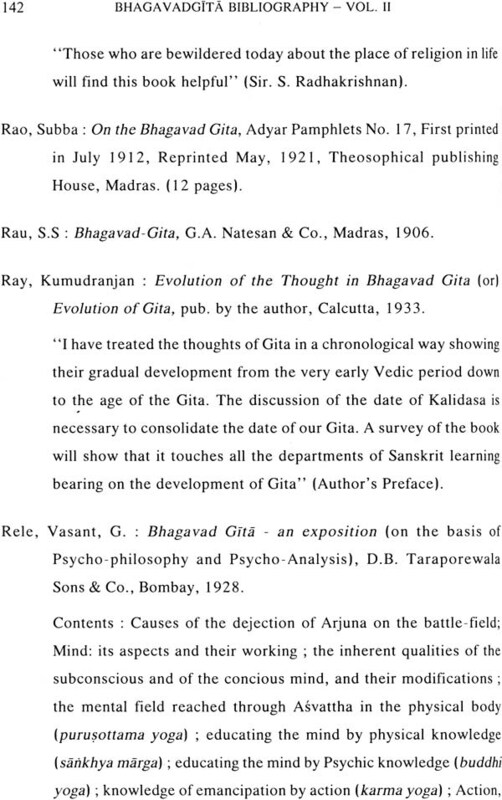 This was an offshoot of the Gita exhibition organised under this Re-search Institute in 1950. 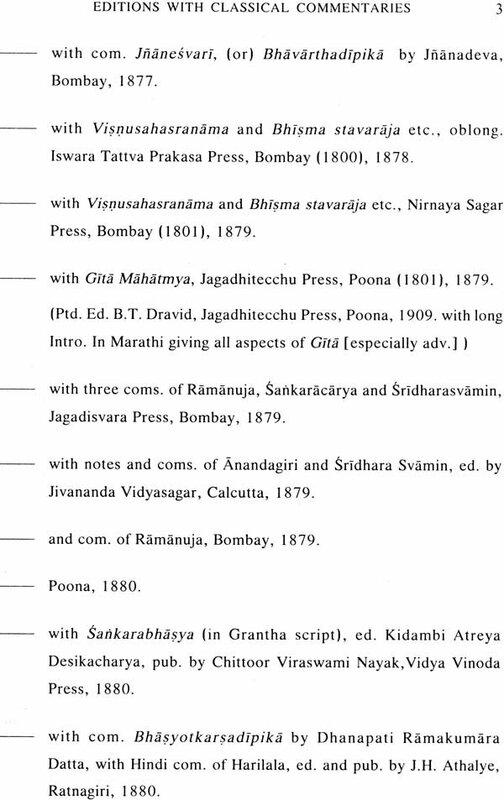 Several Universities in India, government Institutions as also private individuals wholeheartedly supported this and sent their valuable collections of editions and translations of the Gita and also manuscripts of Gita. It was a grand success. 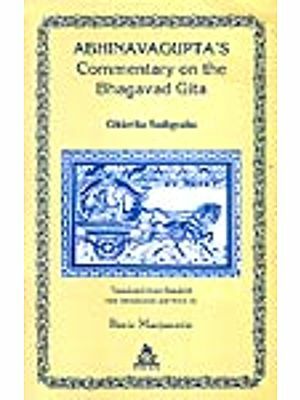 Realising the everlasting value of this ennobling treatise, the Bhagavadgita, this project of Bibliography of Gita was started. This project is of immense value for not only research scholars but also to others interested in understanding the gems embedded in the Gita. The project consists mainly of two parts viz. 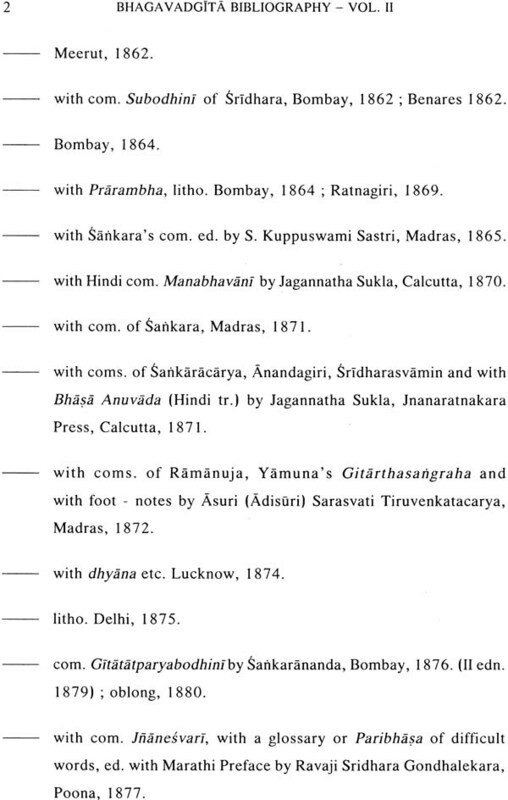 (I) references to manuscripts available in various libraries in and outside India (11) printed editions, studies and translations. Mrs.Suryakumari Dwarakadas was first assigned the task of compiling information for this project under the guidance of Dr.V.Raghavan. She took her M.A. 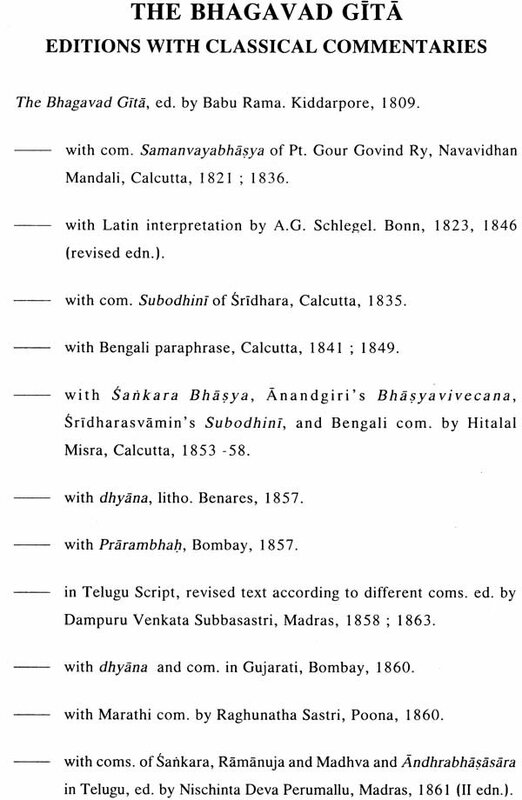 Degree in Sanskrit from the Presidency College. She knew several languages - Hindi, Marathi, Telugu, Tamil and English besides Gujarathi, her mother tongue. The project commenced on the 15th of April 1973. In response to an appeal from Dr.V.Raghavan, Dr.C.P. 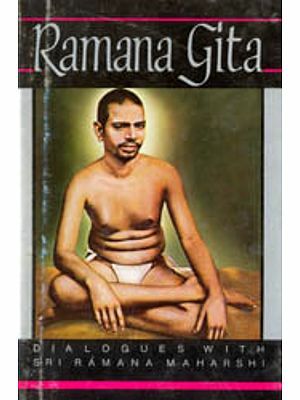 Ramaswami Iyer's foundation gave a grant of Rs.150/ - p.m. for two years. 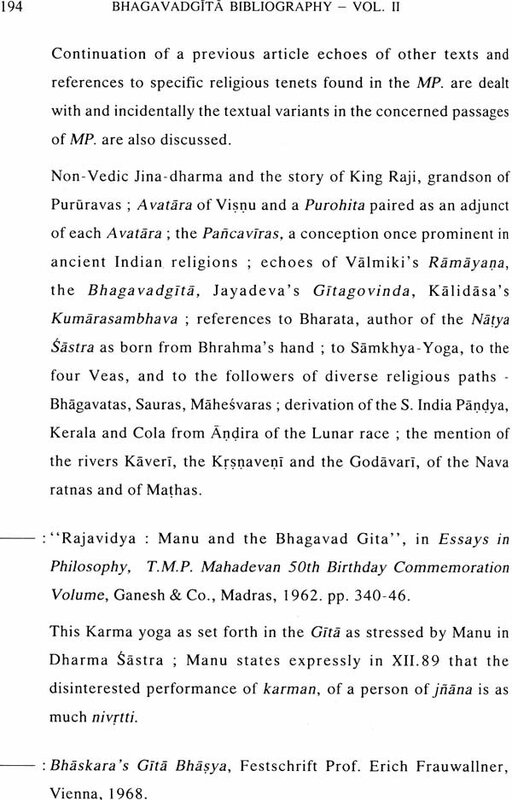 This project consisted of three stages mainly (1) Collecting the references to the manuscripts of Gita (2) References to printed editions (3) Studies, articles on Gita and reviews of the editions and studies on Gita from various journals. 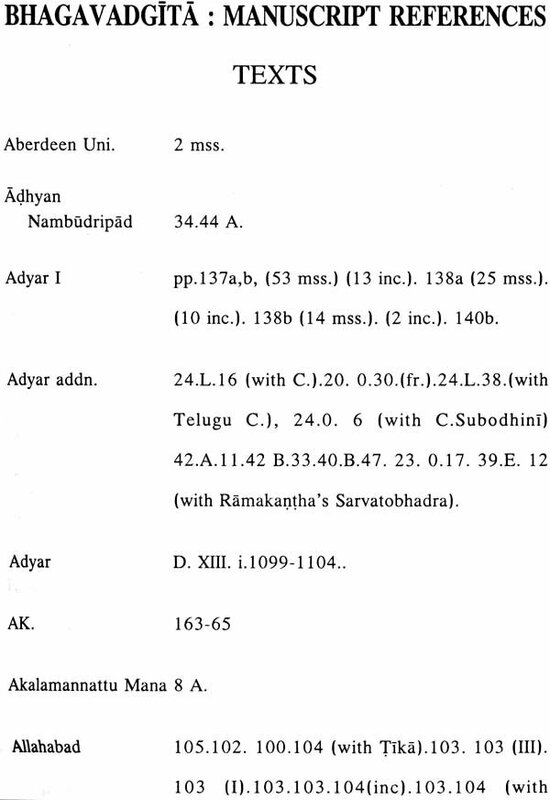 Mrs. Suryakumari meticulously compiled references to the manuscripts available in India and outside with the help of the slips gathered by the New Catalogus Catalogorum section of the Sanskrit Department of the University of Madras. 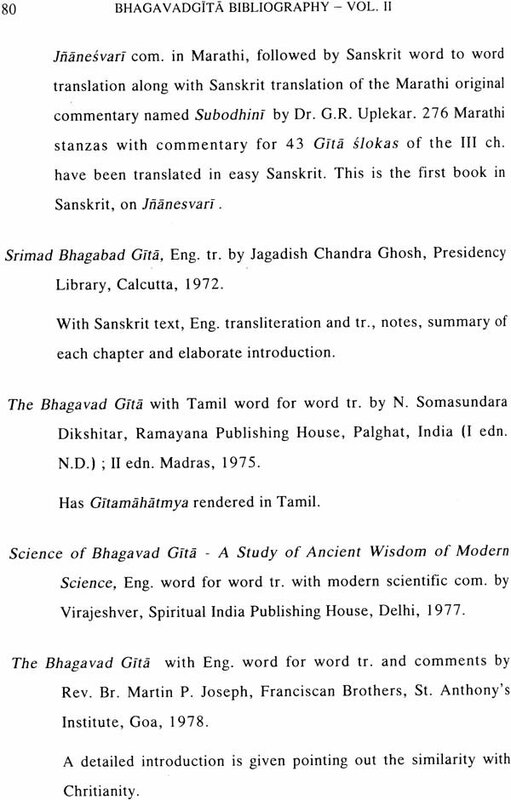 Secondly the references to the printed editions of the Gita were gathered by her visiting several libraries and research institutes in Chennai such as Adyar Library, Connemara Library, University Library (Philosophy Dept. 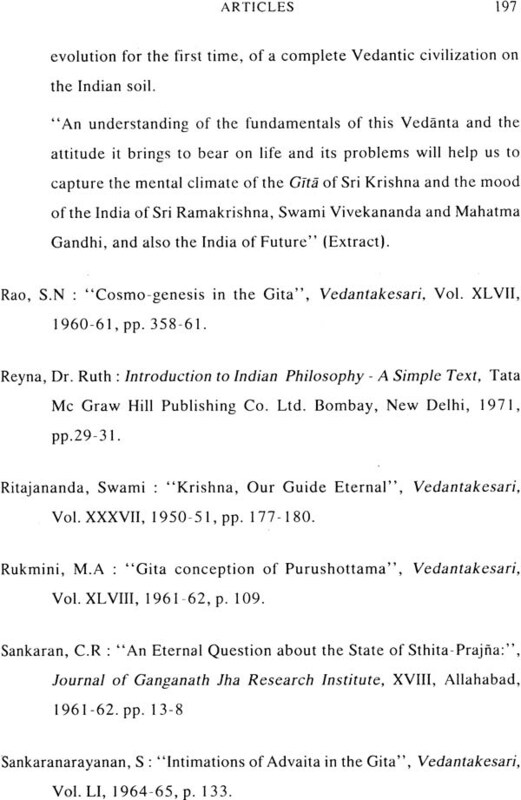 ), Cosmopolitan Library and Ramakrishna Math Centenary Library. As a third step, she compiled and took brief notes of the studies on Gita and also references to articles and reviews from various Indological journals like Indian Historical Quarterly, Vedanta Kesari, Brahma Vidya, Proceedings of the All India Oriental Conference and others. In addition to this she visited the University of Poona, the L.D. Institute of Indology, Ahmedabad and a few other centres in Bombay, Gujarat, and compiled information on the studies of Gita: which were mainly in Marathi and Gujarathi. 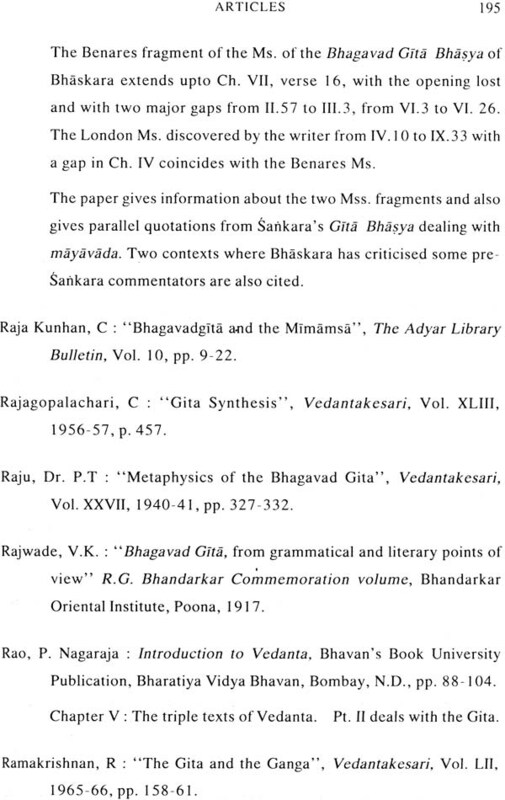 The sudden demise of Mrs. Suryakumari in the year 1990 caused a gap in the compilation of the Bibliography. Realising the importance of this project especially for the New Catalogues Catalogorum section of the Sanskrit Department, University of Madras and for research scholars, the K.S.R. Institute decided to resume the work. The work was once again undertaken with the funds offered by the family members of Mrs. Suryakumari. Resumed thus, the already collected material had to be revised, compiled, and arranged properly as the time gap had caused some distortion in the gathered material. 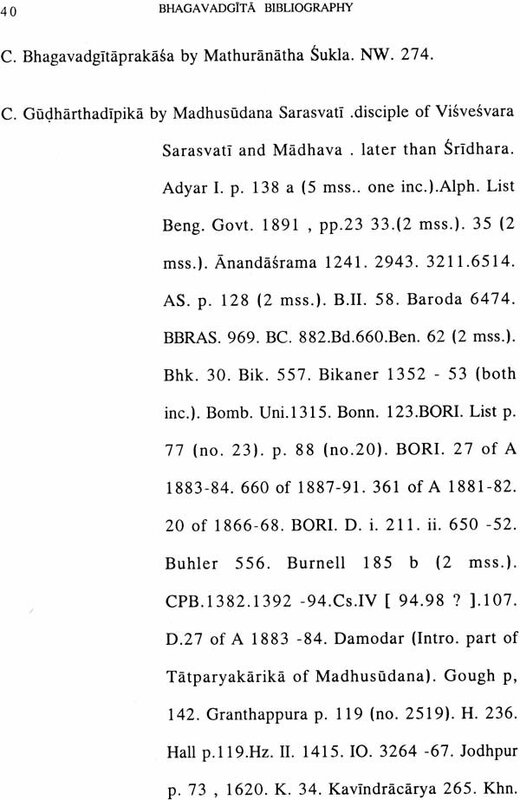 Moreover, the material already gathered, especially the references to manuscripts had to be checked with the new Descriptive Catalogues published since then, especially from Sanskrit College, Benares, Oriental Research Institute, Mysore, Adyar Library and Research Centre, Govt. Oriental Manuscripts Library, Madras. 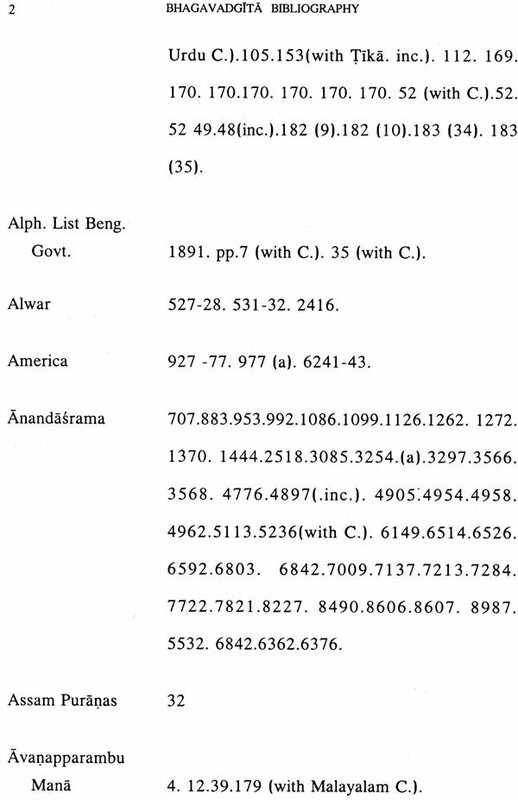 The information on Gita entries in the New Catalogues Catalogorum Department remaining only in slips had to be verified with the original catalogues especially Aufrecht's Catalogues Catalogorum and the Descriptive Catalogues and details from them had to be added. 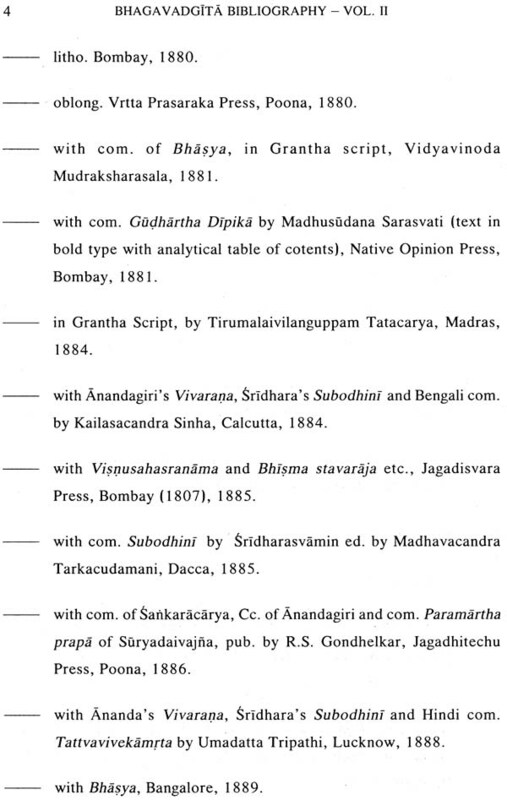 Bibliographies and Histories of Literature relating to different schools of Vedanta had also to be checked for information about the authorship of the various commentaries. 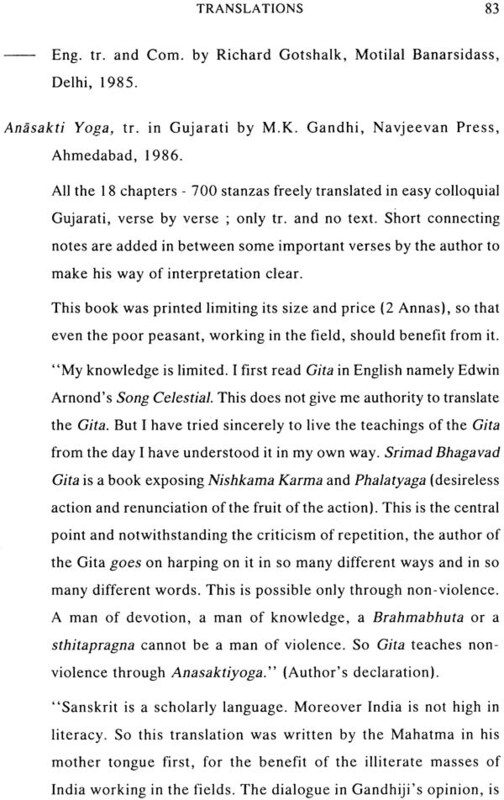 The Introduction to a few editions of Gita contained also details about the authors of various commentaries and other related information. These had to be added under the various authors. 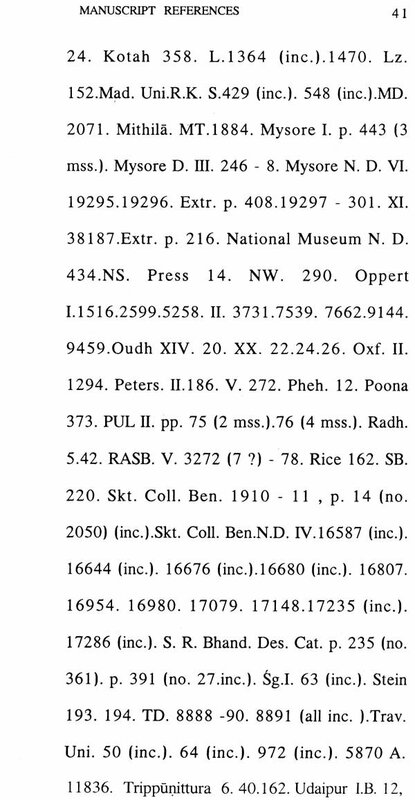 A word about the manuscript references: They are either in palm-leaf or paper. Several illustrated manuscripts are available in Oriental Institute at Baroda. There is also an 'illuminated' manuscript in the same library. 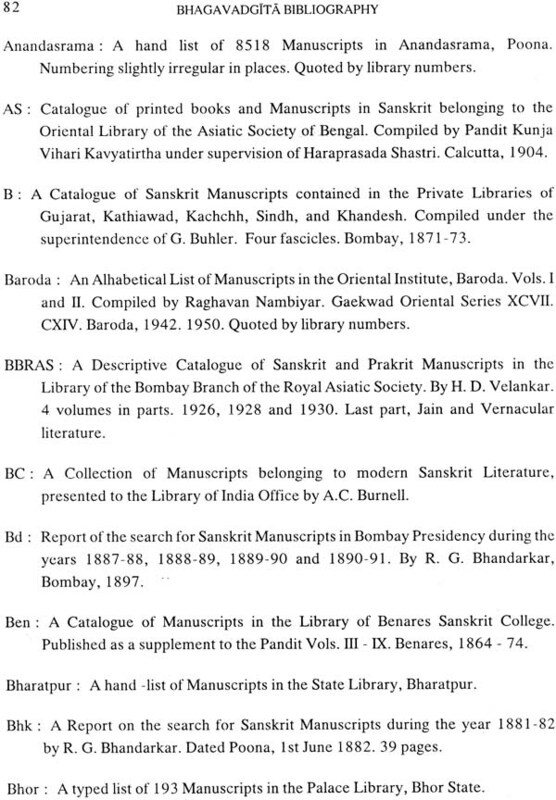 Largest collections are found in Anandasrama, Pune; Oriental Institute, Baroda; Bharatiya Itihasak Samsodhan Mandal, Pune; Bhandarkar Oriental Research Institute, Pune; Govt. Oriental Manuscripts Library, Madras; Sanskrit College, Benares; Travancore University, Trivandrum; The Adyar Library, Madras; Royal Asiatic Society of Bengal, Calcutta; Tanjore Maharaja Serfoji's Saraswathi Mahal Manuscripts Library, Tanjore; Oriental Research Institute, Mysore.